It has been a while since I met and featured The Wonggoys and Missing Filemon here in matudnila. Before December starts, I will let you check another Cebu-based band whose into Indie Rock genre. Its Cebu's newest music. 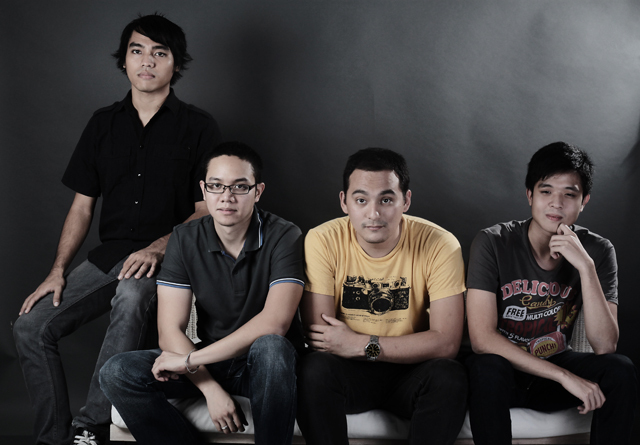 Meet Mark (Vocals, Guitars), Carlo (Vocals, Guitars), Jeremie (Bass) and Jason (Drums) of Rescue A Hero. Do It Your own or DIY. The tracks in the coming Album "Corrupt Honest Awake" are mostly recorded in their bedrooms using laptops and anything they could use to produced good music. 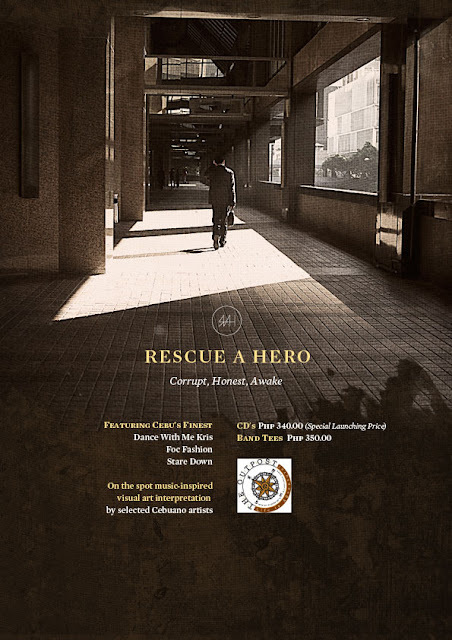 The 10-track Rescue A Hero Album will be launch this 26th of November, Saturday at The Outpost. Rescue A Hero love Gigs! Bump with them either at The Outpost in Lahug or anywhere in the City. Rescue A Hero is also giving their music for free to download at Rescue A Hero official website at www.rescueahero.com Now see you at the Rescue A Hero "Corrupt Honest Awake" Album Launching at The Outpost on November 26. Rescue A Hero Album Launching at The Outpost posted at Cebu Events Blog. 0 comments: on "Cebu's Newest Music Rescue A Hero Album Launching on 26th The Outpost"